What does man love more than life? Fear more than death or mortal strife? What do the poor have, what the rich require, And what contented men desire? What does the miser spend, the spendthrift save, And all men carry to their graves? 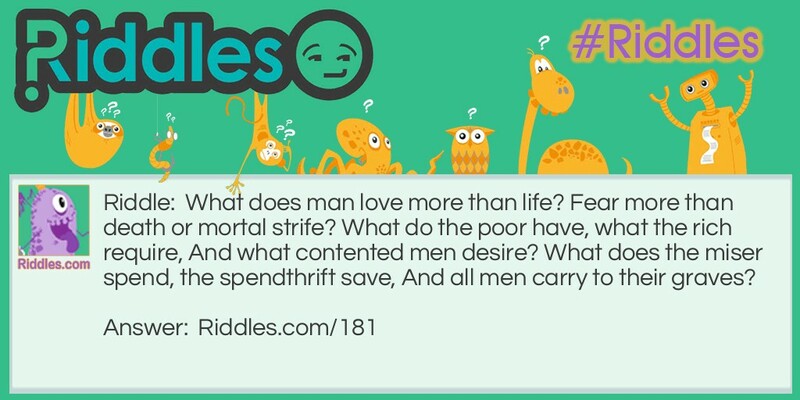 Contented Men Desire Riddle Meme with riddle and answer page link.